two deleted scenes from The Unknown Elf. These scenes are my Christmas present to all my readers. Perhaps, someday, I will refine them, or write more around them, creating some short stories in this "world" that I have created. Until then, please enjoy. which happens near the end of Chapter Four. "What is it, Marie? You can ask me anything about anything, or anyone for that matter, here or anywhere. I'll always be there if you need someone to talk to, even if it is in the middle of the night and the cows are all screaming for Chinese food," Dena promised. Marie smiled at the thought of cows screaming for anything let alone Chinese. "Thanks. You’re such a nice person. There is just one thing that puzzles me. I was just wondering why your office is decorated in such a weird way." Dena tried to collect her thoughts. She almost tripped going up the stairs. “Well, I've known him since we were both little tykes. Back then he was actually quite the prankster. Quite notorious actually, but he never got caught. I’m sure his other friends thought that that was incredibly unfair. Then something happened and he changed. "I wasn’t there when it happened. Sandra was though. You can ask either one of them if you have a mind. I don’t feel at liberty to say anything about it. But yeah, something in him did change. He stopped pulling his pranks, became more serious.” She paused at the top of the stairs. “You know, I think I liked him better as the prankster.” She grinned. "I hope that you don’t mind when I ask you about what you think Christmas means. Many elves have their own ideas about the holiday. I think that most have a similar idea, but what do you think?" Santa looked directly into her hazel eyes. “I . . . Um, I . . . don't know. I've never had to think about that before. I guess they do." She tried to clear away her flusterlyness. Her eyes showed her confusion. What does this have to do with anything? "I'm not necessarily a religious man, Marie, but I do have my own ideas about the season. Many people, especially big companies, see this time of year as a time to get huge amounts of money from their costumers. 'Santa' is merely an excuse to buy more toys and games." He snorted at his words. "Most people don't see the part that is giving. They only think me, me, me. Get, get, get. Mine, mine, mine. So selfish are they. It makes me want to hide my face and cry. "Christmas isn't necessarily just about the receiving. It's also about the giving, and people forget about that part or they just don't care. Christmas is a time to spend with family and friends. It is a time to show your love for each other in ways you normally wouldn't. "I am who I am because there are a few out there who actually believe in the true spirit of Christmas. It is they who keep the real spirit alive. I give because I love everyone on this Earth. Most people don't see that. Most people don’t believe. He smiled understandingly. “It’s not easy, living away from everything that you have ever known. 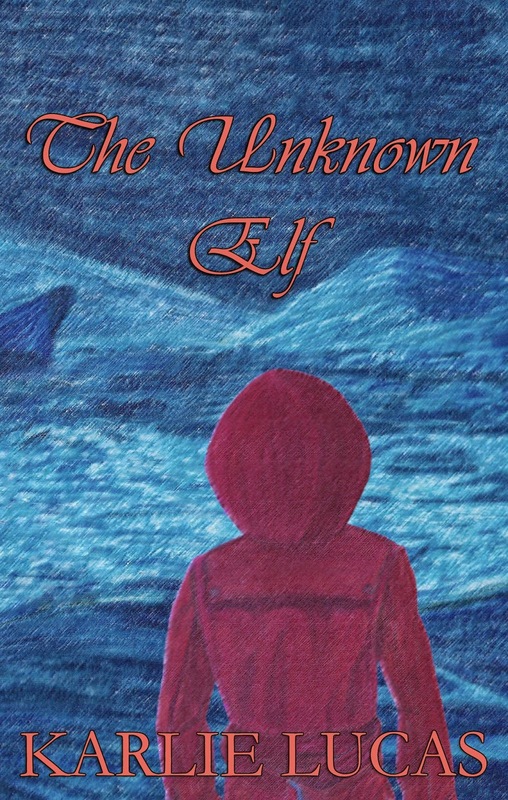 Believe it or not, there are actually quite a few elves and humans who don’t know for themselves either. It takes time.” He got up from his chair and came around to stand by her. His large hand fell on her shoulder. I’m not an angel, Santa. I’m nowhere near to being an angel. I've done things and seen things that don’t exactly leave me feeling very proud. I really don’t even know why you let me stay here. And, as an added bonus, here's another scene that I left out and didn't share with any of the other bloggers doing my blog tour. "I spent a lot of time in there, reevaluating myself. I wasn’t who I thought I was. Everything my parents had ever said, everything I had ever known deep down came pelting my mind. I knew exactly what he planned on using me for, some sideshow freak, but there was nothing I could do. I didn’t know how to use my abilities and when I tried to use them nothing happened. "Maybe it was because I was watched like a bug under a magnifying glass, until Dovan decided that there was no way to escape. I wouldn’t do anything for him even if it meant not using my gifts to get away. I inhibited myself. Even when it seemed like he had stopped watching me I knew he was still there. "I’m not sure if my lack of cooperation made him flip or what but it soon became apparent that he had lost his sanity. On the very rare occasions when he’d come to gloat over me he would get a wild look in his eye and mutter to himself. "One day, I overheard him talking to himself about his childhood and how he would get even. I had no idea who or what he was talking about. I only know that it had something to do with Christmas. He decided that if he couldn’t get to his victim I would serve instead but he had to have everything done in just the right times. "I learned a fear that I had never felt before and hope that no other has to feel. It was like every turn presented death or worse. I was starving in both body and spirit, fearing for my life. I knew that if I did not get out soon I would die so I explored my prison. "I found a place near the pipes where the wall was decaying. I suppose the continual contact of rancid water had weakened it. The cement was brittle. I knew this was the only way I could get out so I started digging, using the only tools I had, my hands and fingernails. "The work went slowly but I finally broke through the thick wall, leaving a tiny hole. My hands were scabbed-over pulp for my troubles but somehow I managed to enlarge the hole, bit by bit. "I always prayed that the pipes would hide the defect from my uncle. I don’t know if he ever did see the hole or not. He was insane enough to not notice, or so I hoped. "The night after I had made the whole big enough to squeeze through I made my escape. My hole led to a corridor. From there, it was easy to find the stairs. I had to pass my uncle’s door, but he was too busy plotting his revenge. "I was almost outside when I heard his footsteps behind me. I turned to face him. I smelt alcohol on his breath. In his hand was a .35 caliber pistol. I bolted. I knew he was out for blood and that nothing would stop him from getting it. "He tried to block my path, giving me only a set of stairs that led to the roof for escape. I took them three at a time, trying to outdistance him. The stairs led to a hallway with a window at one end. It was the only way I had to get on the roof. "I ran as fast as I could on the loose gravel that I found out there. I only stopped to save myself from falling over the edge. The building was taller than I had thought. It was over fifty feet to the ground and I was afraid of heights. I heard the sharp report of gunfire as I turned around. The bullet hit me in the chest, pushing me over the edge. He didn’t come after me and I do not remember landing. "When I came to I found that I was far from the warehouse. Someone had found me and saved my life. I don’t know who it was but I’m sure that I will meet up with him or her again. When I do I will thank them for saving my life. Soon after that I took to roaming. I didn't care where I went as long as I didn’t see him again. "Somehow I made my way to a deserted white ocean of snow, somewhere near Canada. I was crawling by then and my soul was freezing in the cold. I collapsed and couldn't move because my strength and hope was gone. I guess I was carried on the wind's wings because then next thing I knew I was on an icy plain where there had been trees before. "I called for help as long as I could, until my voice ran dry. I gave up any hope and started to drift away. The ghosts of the plains carried me toward their realm. The next thing I knew I was looking into the most wonderful face I had ever seen. I thought I was dead. It was my mother.